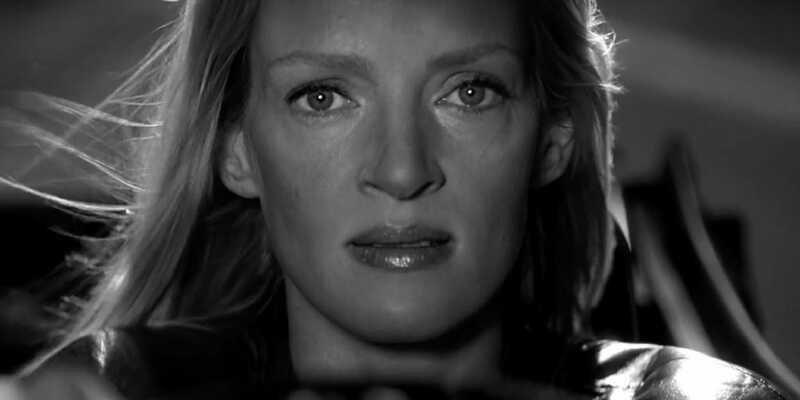 Uma Thurman said that disgraced producer Harvey Weinstein sexually assaulted her sometime soon after the 1994 release of her Miramax film Pulp Fiction, in an account reported by the New York Times. In the same article, Thurman said that the film’s director Quentin Tarantino, who she worked with for years, purposely disregarded her safety on the set of Kill Bill: Vol. 2 years later during a driving scene, leading to a car crash that left her with permanent damage to her neck and knees. Speaking to the Times, Thurman said Weinstein had attempted to lead her to a steam room in his hotel room in Paris sometime after Pulp Fiction‘s release. Not long after, she said Weinstein attacked her, sexually assaulting her by pushing her down and trying to shove himself on her in a hotel room in London. “He tried to expose himself. He did all kinds of unpleasant things. But he didn’t actually put his back into it and force me. You’re like an animal wriggling away, like a lizard. I was doing anything I could to get the train back on the track. My track. Not his track,” Thurman said. She said Weinstein sent her an arrangement of yellow roses the next day, asking her to meet him and saying what had happened was a “misunderstanding.” She recalled telling him, “If you do what you did to me to other people you will lose your career, your reputation, and your family, I promise you,” before he threatened to derail her career. Thurman went on to tell the Times that her working relationship with director Tarantino, a friend to Weinstein, also soured, with Tarantino possibly putting her in a dangerous situation on purpose. On the set of Kill Bill: Vol. 2 in Mexico, she said Tarantino had asked her to drive the Volkswagen Karmann Ghia car featured in the film’s iconic opening scene instead of a stunt double. However, she was told the car wasn’t working well, and she insisted she wasn’t comfortable driving it. She called it a “deathbox”—the seat wasn’t attached properly, the road was made of sand, it wasn’t straight, and Tarantino wanted her to drive 40 mph. Producers say they don’t remember Thurman objecting, and Tarantino did not respond to the Times’ request for comment. In video footage of the incident, Thurman is seen driving for half a minute before losing control of the vehicle and crashing into a tree. She said the crash resulted in a neck brace, damaged knees, a welt on her head, and a concussion. She said she still has neck and knee problems to this day. Though she wanted footage of the crash, Miramax, Weinstein’s production company, offered to show her the recording if she signed a document releasing them from liability. She declined, and she and Tarantino fought for years as a result. Amid the “Me Too” movement beginning with Weinstein, however, Thurman said she went to the police to put the pressure on Tarantino to give her the footage, which he finally did. She said she didn’t feel disempowered until the crash. Her accounts come three months after telling reporters that she’s been “waiting to feel less angry” to speak meaningfully about the “Me Too” movement against sexual harassment and assault. Thurman had also alluded on social media that she had a “Me Too” story to share amid the coverage on Weinstein, who more than 80 women say sexually harassed or assaulted them. At the time of her first statement, Thurman said she called her feeling “anger,” but her emotions were so much more.